A newly arrived governor finds his province under the control of the corrupt Colonel Huerta. To avoid assassination by Huerta, he pretends to be weak and indecisive so Huerta will believe he poses no threat. 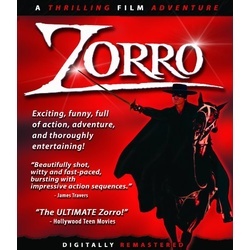 But secretly he masquerades as Zorro, and joins the monk Francisco and the beautiful aristocrat Hortensia in their fight for justice against Huerta and his soldiers. 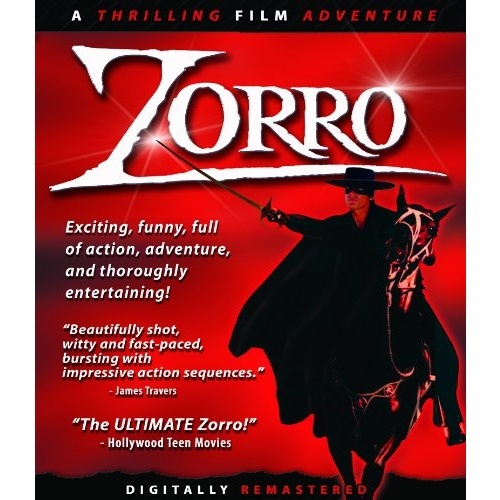 Legendary French superstar and heart throb Alain Delon is one of the most unique Zorros you are ever likely to see. His stylish portrayal of the masked rider is considered by many to be the ultimate. The fight sequences are staged with energy and excitement while the finale features one of the longest sword duels ever put on the screen!